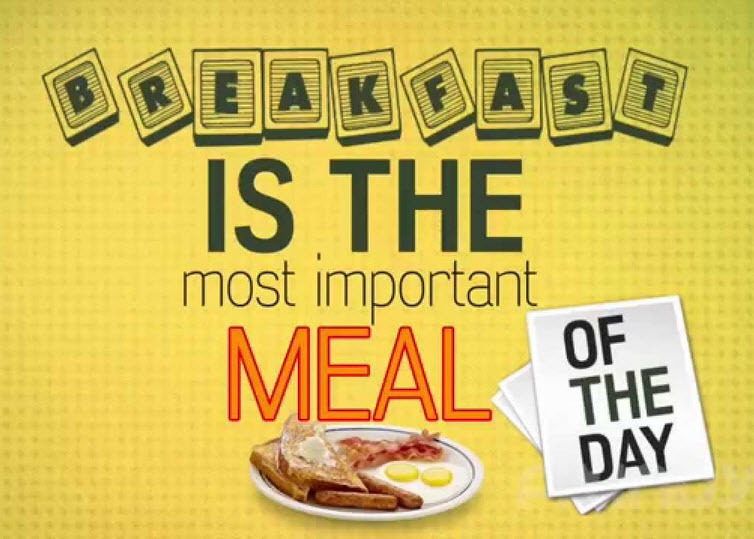 Breakfast is the most important meal of the day, don’t leave home without eating it. Eating a nutritious and well balanced breakfast increases your energy, elevates your mood, and sharpens your memory. It balances your sugar levels, calibrates your hormones, and sharpens your concentration. All things you will need to successfully navigate the days’ challenges. It also gives you a chance to get in some vitamins and nutrients from healthy foods like dairy, grains, and fruits. If you don’t eat it, you aren’t likely to get all of the nutrients your body needs. Eggs for breakfast increases feelings of fullness, reduces calorie intake at the next meal and helps maintain steady blood sugar and insulin levels. Moreover, egg yolks contain lutein and zeaxanthin. These antioxidants help prevent eye disorders like cataracts and macular degeneration. Eggs are also one of the best sources of choline, a nutrient that’s very important for brain and liver health. Interestingly, they’re also high in cholesterol, but don’t raise cholesterol levels in most people. In fact, eating whole eggs may reduce heart disease risk by modifying the shape of LDL, increasing HDL and improving insulin sensitivity. Most important, eggs taste delicious, in any format. Greek yogurt is creamy, delicious and nourishing. Yogurt and other dairy products can also help with weight control, because they increase levels of hormones that promote fullness. In addition, Greek yogurt is a good sources of probiotics, which helps your gut stay healthy. Caffeine has also been shown to increase metabolic rate and fat burning. In one study, 100 mg of caffeine per day helped people burn an extra 79–150 calories over a 24-hour period. Coffee is also rich in antioxidants, which reduce inflammation, protect the cells lining your blood vessels, and decrease diabetes and liver disease risk. It’s made from ground oats, which contain a unique fiber called beta-glucan. This fiber has many impressive health benefits, including reduced cholesterol. In addition, beta-glucan is a viscous fiber that promotes feelings of fullness. Oats are also rich in antioxidants, which protect their fatty acids from becoming rancid. These antioxidants may also help protect heart health and decrease blood pressure. A healthy, nourishing breakfast is the best way for everyone, regardless of age, to start their day. This is especially true for our senior citizens who may be experiencing health challenges and taking various medications. Whether your loved one is living on their own or lives in a skilled nursing home; it’s important that you know and check that they are getting the proper nutrition. If you are at the point where you are considering a skilled nursing facility for your loved one, then in addition to checking out their rehabilitation programs, check out their food menus. Good nutrition is the road to good health.